I recently posted an "Air Drying on Relaxed Hair" video on Youtube and showed the process on how I do it with no heat. In the video, I did a process called the L.O.C. Method on my relaxed hair. A subscriber observed this as she watched the video and asked should I have sealed with the oil last. I realized that I did not explain this as a quick FYI in the video. Many of us learned, to seal in moisture, we usually seal everything with an oil, right? 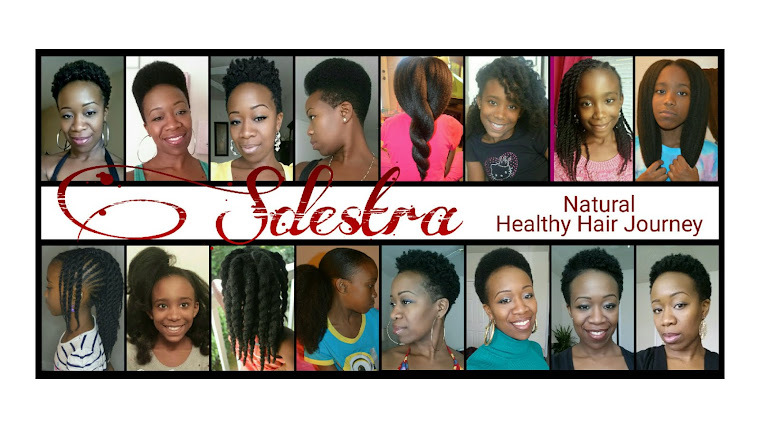 I have been reading many blogs about this method, and I noticed that a lot of women who have natural hair have tried it and loved it. I read about it on Curly Nikki's blog, whom one of her lovely guest bloggers wrote about her experience in doing it on her natural hair. Basically it is a way of sealing the hair of it's moisture, twice. Each layer is sealed for more moisture retention. I am sure some people have been doing this for a long time, way before a name was given to it; to which it recently rose to popularity among the hair care world. So, I tried the L.O.C. method on my relaxed hair. Some of you may know that my hair is prone to getting dry easily since I mentioned it via several sources. And I have relaxed hair. So with relaxed hair, we do have to work a little more to keep it moisturized. When I first read about this method, I said to myself...it would not hurt for me to try it. And what did I have to lose any way? I am just using moisturizers and sealants. I watched several Youtube videos from those you happen to have natural hair, and read blogs about it to get more information. I tried it for a little over a month, without mentioning anything so I can test it out myself before I shared my experience. I am happy to say that it has worked for me to hold in more moisture for MUCH, MUCH LONGER. I observed and tried to notice if my hair needed daily moisture as before. You know how that can be, if you moisturize almost every day, you are prone to build up depending on what products you use. Before, I had to moisturize my hair almost every 2 days. After implementing the method, I noticed that may hair can go almost 5 days without re-moisturizing after doing it few times. Because of my experience, the L.O.C. Method works on my relaxed hair and is here to stay! . It may not work for every one just like it does/did not work for every one who is natural. But I do feel confident that we can implement that into our hair care regimen. Some of the products I use may be heavy for your hair, but I am sure there are products you have that can make this method work for you. Has anyone used L.O.C. method? How has it worked for you? Are you going to try it? What products will you or did you use? I agree with you , I have been doing this way before I start blogging or reading about hair care . Luckily I had a mother that was always about healthy hair . sounds promising.. would love to try this. I have thick coarse hair that looks great when it is relaxed. I have been experimenting with other products and forgot how much I love the Shielo Restoration Oil. I use the Shielo Oil on my hair for conditioning every few days (depending on hair dullness). My hair looks amazingly shiny and more manageable. It also helps me prevent split ends. Recently I was in a wedding and we used it as a finisher for my upsweep. The hair stylist was amazed, she commented she had never seen hair with so much sheen. Hello, I would love to try this. Any products you would reccomend?